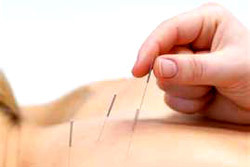 Yu's Acupuncture & Wellness, LTD.
Acupuncture is one of the oldest, most commonly used forms of medicine in the world. Originating in China more than 2,500 years ago, acupuncture is currently one of the most thoroughly researched, practiced, and respected forms of complementary medicine available anywhere. When the body doesn’t respond to conventional pain treatment, Acupuncture, the best known alternative treatment for pain, offers relief to people suffering acute pain, chronic pain, neck & shoulder pain, back pain, migraines and other illnesses and injuries. A combination of traditional medicine and acupuncture are often used to combat pain in some patients while others may only respond to acupuncture. What all this means is that acupuncture is effective for a wide variety of painful conditions and carries little to no risk. About 12% of all couples in the U.S have a trouble to conceive based on 2003 national summary and fertility clinic report by U.S. Department of Health. According to the national Center for Health statistics, 9.3 million American women are currently using assisted reproductive technology(ART) services to help them cope with fertility issues. Most widely used is in vitro fertilization (IVF) or intrauterine insemination (IUI). How does Oriental medicine increase the chances of achieving pregnancy? enable couples to better predict the time of ovulation. flow to the uterus, resulting in a thicker uterine lining. Improve sperm: increase sperm count and sperm motility. levels must fall within a desired range in order to continue with treatment. determining whether or not IVF will be successful. control group that did not receive acupuncture. When acupuncture and Oriental medicine are used in conjunction with IVF, clinical experience suggests the pregnancy rate can be raised to at least 60%. Moderate the side effects of hormone therapy. The medicationsgiven during ART are very powerful and can cause unwanted side effects such as hot flashes, irritability, labile mood, and insomnia. Acupuncture can minimized or eliminated theses unwanted side effects. Relieve stress: Fertility issue can be a very stressful, acupuncture increase the level of Beta-Endorphins (the body’s natural feel-good chemical) in the blood. Correct mal-position of the fetus (Breech presentation). Chinese herbal medicine is a 2,000 year old tradition using naturally occurring substances — including herbs — to enhance one's health and vitality. As opposed to Western medicine, the foundation of this approach is to support the body's natural self-healing mechanisms and abilities. Since each patient has different needs, I carefully select and combine a variety of herbs that will synergistically blend together to achieve optimal results for your unique situation. I prescribe high-quality, professional-grade herbal medicines that are available only to qualified licensed professionals. Electroacupuncture is a highly effective holistic treatment for pain, nausea, and chronic ailments. In practice, it is actually very similar to traditional acupuncture. Using the exact same system of Chinese Medicine, I insert very thin and sterile needles into specific points along the meridians of your body. I then attach the needles to a device that delivers gentle electrical pulses between two points. This helps restore the healthy flow of Qi (energy) through your body, removing any blockages and clearing out stagnant areas, thus creating a stronger and clearer experience of health and well-being. If you struggle with your weight, you’re not alone. In fact, more than 30% of all U.S. adults meet the criteria for being obese! Excess weight is not just a cosmetic issue. Being overweight is a risk factor for many conditions such as high blood pressure, diabetes and heart disease. However weight loss can reduce the risk and it is never too late to get started. Physical and emotional trauma, stress, lack of exercise, and poor eating habits affects to your vital energy. These causes changing your body shape. The Oriental medicine for weight loss is found out the root of imbalance of your energy. It is important to remember that acupuncture is not a quick fix. You will experience positive changes in your overall health, including maintains a healthy body weight. Oriental Obesity treatment program provides safe and individual treatment program depending on patient’s characteristics and physical constitutions under the following principles. Using herbal medicine and acupuncture, Yu’s program can minimize the pains resulted from reducing calorie intake such as severe hunger, lethargy, dizziness, headache, nausea, constipation. Additionally, this program enhances the capacity of internal organs and energy and prevents various side effects during dieting. After completed this program, your stomach would be shrunk and you feel comfortable with a small portion of eating. Skin, such as Acne, Eczema, Psoriasis, Rosacea and any other cosmetic issues. Most chronic conditions such as allergies, asthma, and more respond extremely well to acupuncture or herb. Sleep disturbance, such as insomnia, wake- up at night several times, restless in the morning.